FREDERICKSBURG – Talking is teaching. 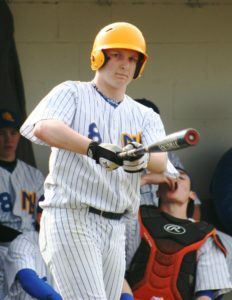 The Northern Lebanon baseball team has a solid foundation from which to toil. 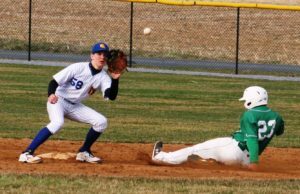 On an overcast Friday evening, the Vikings experienced some growing pains, while taking a step forward, during a 6-1 setback at the hands of the Donegal Indians. 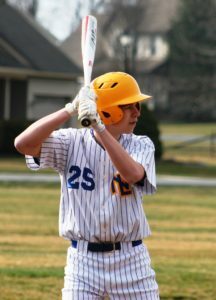 Northern Lebanon surrendered the first five runs of the Lancaster-Lebanon Section Three contest, before breaking through in the home half of the sixth inning. Though the Vikings never seriously threatened Donegal’s early lead, the performance was in stark contrast to their first two this spring, when they were outscored by a combined total of 25-10, issued 17 free passes and committed a total of ten errors. 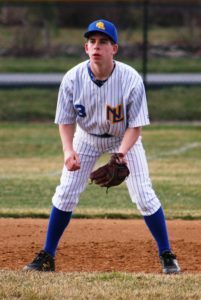 Yesterday’s result made Northern Lebanon 0-3 overall and 0-3 in Section Three, while the Indians improved to 2-0 on the year and 2-0 in the circuit. 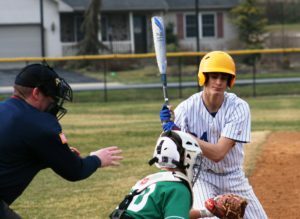 “I told the guys I feel a lot better walking off the field tonight than I did after our first two games,” said Northern Lebanon head coach Daryl Hess. “We gave some things away in our first two games. But we’re going to be fine. I don’t want to be 0-3, but I’m happy with the progress we’ve made. I have two guys with varsity experience. They’re getting their feet wet a little bit. We’ve just got to get better everyday. 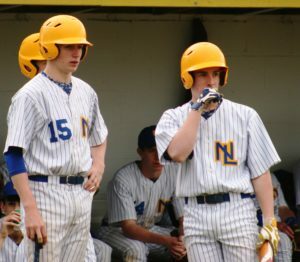 Facing a 5-0 deficit, Northern Lebanon scratched out a run in the bottom of the sixth, with two outs and without the benefit of a hit. 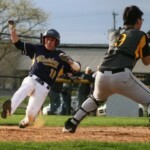 Cameron Seiger scored it, on a ball that was hit – then misplayed – by teammate Ben Bomberger. “I thought we played well,” said the always optimistic Hess. “The first two games we gave some extra outs, and they led to runs. We didn’t do that tonight. We can’t give teams extra outs. 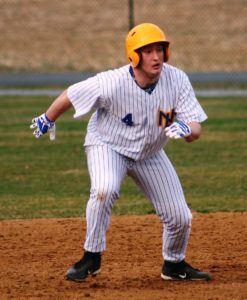 The Indians got to Northern Lebanon starter Brandon Breidegan for single runs in each of the first two frames. 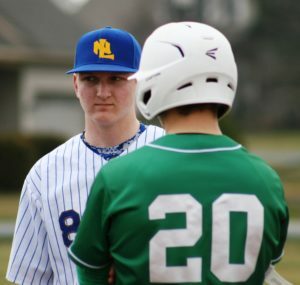 The combination of Drew Bechtold’s lead-off triple and Kyle Burger’s sacrifice fly staked Donegal to a 1-0 lead in the top of the first inning. 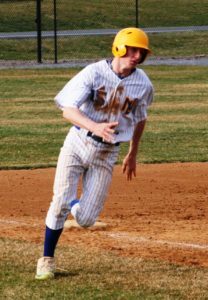 Then the Indians tacked on in the second, courtesy of singles from Noah Karichner and Solomon Myers, and Zach Leid’s RBI-grounder. 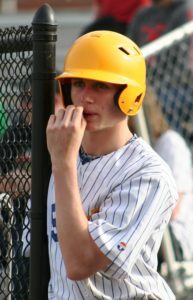 “It definitely changes things, both as a coach and a player,” said Hess of playing from behind. “But that’s a nice ball club over there. They do some nice things. They made plays when they needed to. I thought they played well too. 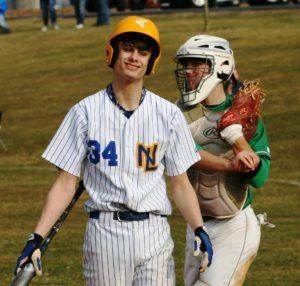 Donegal really put the Vikings behind the eight-ball with a three-spot in the top of the fourth. 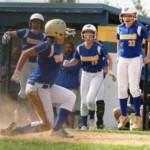 All three of those runs were unearned, thanks to two Northern Lebanon errors and a wild pitch. 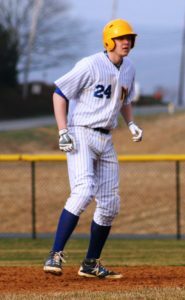 Xavier Cannon stroked a run-scoring single for the Indians, while Bechtold came through with a two-out, tw0-run base knock. 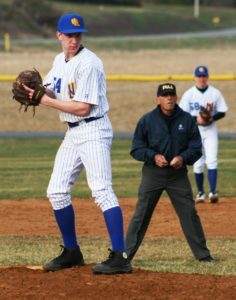 Before giving way to reliever Derek Hocker in the top of the fifth, Breidegan was charged with two earned runs and six hits, struck out two and didn’t walk a batter. “I thought he hit good spots,” said Hess of Breidegan. “It wasn’t like he was leaving the ball up. They (the Indians) were hitting good pitches. 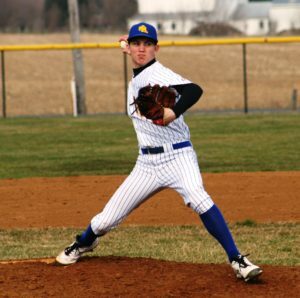 This was the first time he threw in a game (this spring). 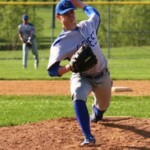 I was pleased with the way he threw. And now all of our guys have had a chance to toe the rubber. 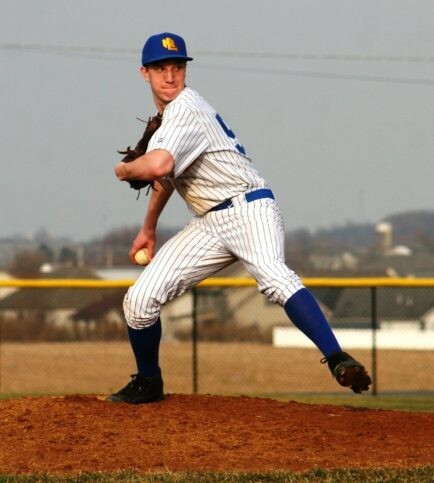 The pitching victory went to Donegal right-handed starter Matt Wallace. 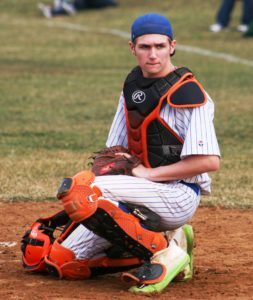 In his five-and-two-thirds innings of work, Wallace fanned five, did not issue a free pass and yielded singles to Seiger and Cameron Stickler. 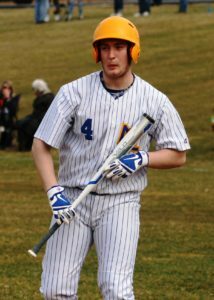 The Vikings had hitters reach base in five of their seven at-bats. 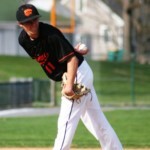 “I thought he (Wallace) threw well,” said Hess. “He had a little pop. He was sneaky fast because he set us up with his off-speed stuff. And he was around the plate.